The Great Australian Beer Festival returns to Albury for the start of summer, once again turning the city into a beer lover's delight. 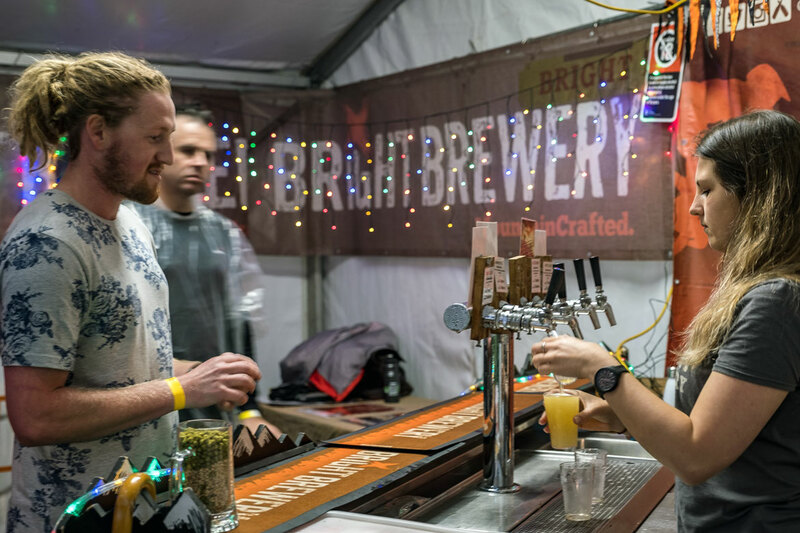 Taking place in the town's picturesque QE11 Square, the festival will see more than 20 brewers and cider makers from across Australia descend on the city to pour more than 150 beers and ciders (see below for lineup). There will also be a wide selection of food available from local food trucks, including the requisite BBQ, with food and pairings on the menu too, not to mention family-friendly fun plus interactive masterclasses led by industry experts. What's more, following a similar venture tied to their Geelong festival, the organisers have teamed up with Visit Albury/Wodonga to create a regional craft beer trails map featuring the region’s growing number of independent breweries. The map takes visitors along the river, through Kelly country, valleys and mountains and into farming country through the Riverina. Festival director Kieran Blood says: "We wanted to help promote local breweries and provide the many out-of-town visitors to the festival the opportunity to better plan their stay in the region." Visitors to GABF Albury will be able to pick up copies there or you can download the map here. As for the festival itself, entertainment will be provided by the likes of the Pierce Brothers, The Ukulele Death Squad, The Ocean Party, Shag Rock and Jess Fairlie. Plus, new to the festival this year is a New York style Piano and Cabaret Bar. Ticket prices start at $39.50, with options that include tasting tokens and the chance for you and your friends to book your own Pagoda with room for 15 people.